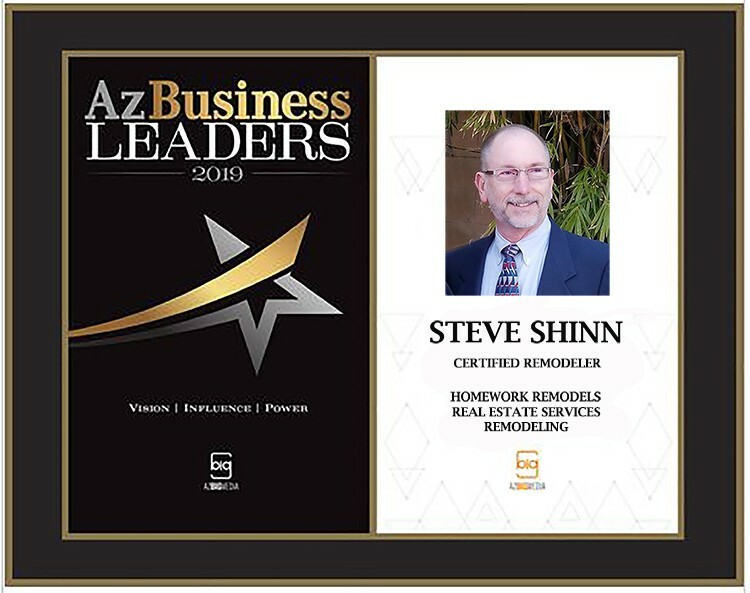 We are proud to announce that Steve Shinn CR is currently featured in AzBusiness Leaders list of 2019’s top businessmen in Arizona. Steve Shinn leads a talented group of design and construction professionals at Homework Remodels doing home remodels across metro Phoenix. He is also a local leader of the National Association of the Remodeling Industry. He is currently the only remodeler in Arizona recognized by NARI as a Certified Remodeler, Certified Kitchen & Bath Remodeler, Universal Design Certified Professional and Green Certified Professional. The Greater Phoenix NARI Chapter’s members are a group of the valley’s top quality remodelers and subcontractors.